Oil prices may be high, but recent downtrends prove that not all of it is speculation. When the laws of supply and demand interact, you can see it reflected in prices. Recessionary concerns are a simple catalyst for the downward spike in oil prices. Paul Krugman brought up an interesting point in one of his blogs a couple weeks ago. Krugman is widely considered one of the top economists in the world. His credentials don't need to be listed here, but generally the words that he pens have some thought behind them. If you remain unconvinced, take a look at his Wikipedia page or attend one of his lectures at Princeton. In this particular piece, Krugman was criticizing the way that Congress enjoys listening to the opinions of "experts" that may not match what other educated scholars are saying. Politics is not a clean game, and one of the most interesting reports that have been given to Congress lately has been the advent of the "oil prices rely entirely on speculation" argument. Most economists agree that a certain portion of the price may be related to over speculation. First of all, the very nature of speculation argues against this point. 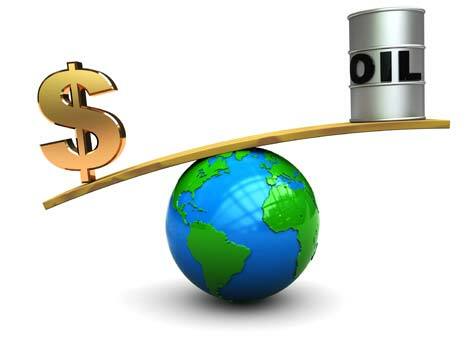 Speculation does not involve any future quantity of oil, but simply the price. If one deals in derivatives it is very unlikely that a trader will receive a delivery of 10,000 barrels of oil at their downtown New York office. It is simply a play on prices and the laws of supply and demand. How are these things interacting? Simply put, demand is going up and supply is moving at a much slower rate. Without a major discovery of oil that represents a significant percentage increase in the quantity of oil supply, there is nowhere for the price to go but up. It is worth noting that emerging markets are creating increased demand for oil. In early development stages, countries are hungrier for oil than ever. Even paving roads requires a considerable amount of oil. Asphalt prices have skyrocketed, and in countries like India where an infrastructure is desperately needed, oil will be in high demand. Add in the demand from the increase in automobiles and construction and you have a very oil hungry nation. Considering that China will be the largest consumer of oil in a couple decades, it doesn't seem like that demand is going anywhere but up. Even if China decides to graciously increase their environmental standards, they will still have the most rapidly expanding car ownership base in the world. Although India is still far behind China in terms of automobile growth, just a fractional increase in car ownership makes an impact because 40% of the world lives in these two countries. Is it speculation that is driving up the price of oil? The straight answer is no. Although congressional pundits may have you believe that it is the fault of some slick tricksters on Wall Street, it isn't that easy. As countries begin to evolve into economies resembling our recent past, there isn't much to do besides develop alternative sources of energy. Scarce resources are just that: scarce. Morgan Stanley recently predicted the $150 price target by July, and it seemed as though the summer heat might make that happen. July 4th is generally viewed as the peak for oil prices. Now that it is mid-July, it seems as though the upward pressure on oil prices may let up. Ironically, the very recent drops in price seem to be linked to the onset of an American recession. There are implications for the rest of the global market, but the oil hungry American economy has enough of an effect on oil prices that they have dropped $16 over the last three days. That is right in line with a $130 mark for the fall set earlier this year. What's your opinion on why oil prices are so high? Is it supply and demand in action or is the futures market somehow contributing to the rising cost of oil?